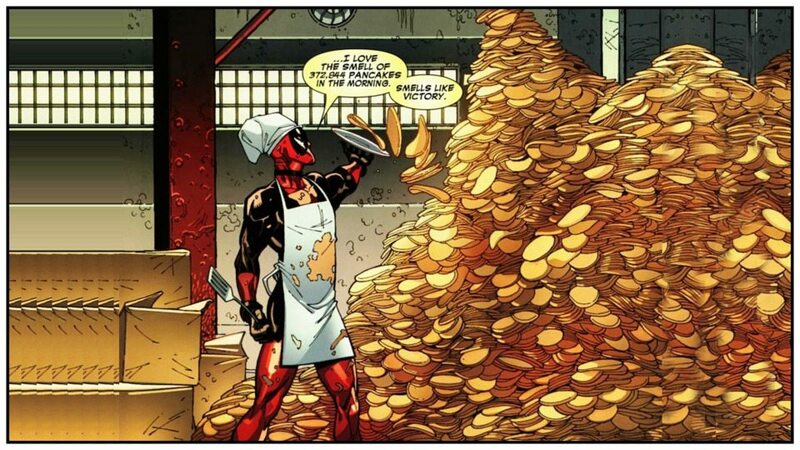 HOW many bottles of maple syrup will Deadpool need to order from Maple Syrup in Israel? 372,844 pancakes divided by 2 pancakes per serving is 186,422 “servings” times 60 mL per serving is 11,185,320 mL of real maple syrup. That’s 11,185 Liters of yummy stuff! 2954 jugs of our 1 gallon Grade B maple syrup. We’d probably give Deadpool a discount.